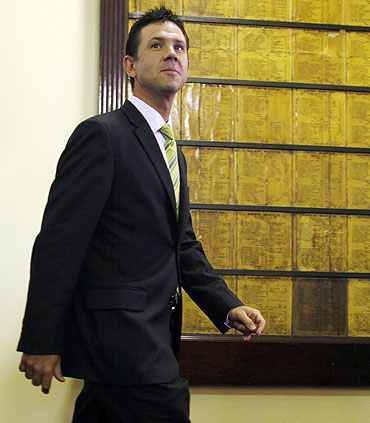 Ricky Ponting announced his retirement from the Australian Test and One-day captaincy on Tuesday, but hopes to keep playing in both teams. Here is some of the reaction from international cricketing figures and the Australian prime minister. Alan Border says, "It's a little bit sad when a player of that calibre and quality decides to give away the captaincy. "I get the feeling that the burden of captaincy in recent times may have been weighing heavily on his mind. The fact that he's given the captaincy might just bring him up to play some of his best cricket over the next couple of years." "In my mind, he's still our best player, as such he deserves to be picked in the Australian teams going forward," he added. "I cannot remember the last time that an Australian captain didn't captain the side but continued on and played as well. "I think it might be a bit difficult for Michael Clarke being captain in the side but also having the ex-captain in there as well," says Brendon Julian. "He's always been a player who's put the team before himself... Probably the right decision. "As far as playing on without being captain, why not? We've seen guys like Sachin Tendulkar probably being in the best form of his career probably into his late 30s and Ricky's still very fit and obviously very hungry, so he's got a lot to offer just as a player and as a backup to Michael Clarke with regard to tactics and bringing younger players on," says Mark Waugh. 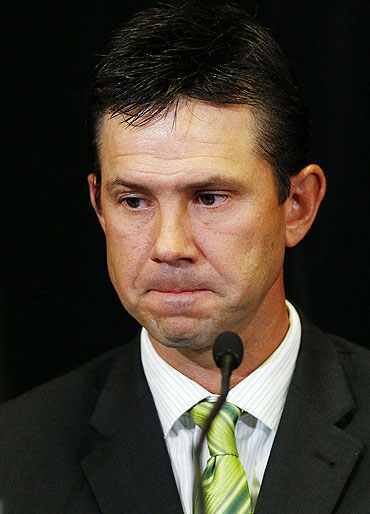 "Respect to Ricky Ponting.. Never easy giving up something that you love doing.. Lots of runs still in him though.. Bowlers beware," said former England captain Michael Vaughan on Twitter. Meanwhile Cricket Australia general manager Michael Brown said, " He'll play a very significant part in the rebuilding of Australian cricket and is handing it over at an appropriate time to his successor." "To play that kind of role for Australia is an enormous privilege and I know from talking to Ricky today that he has felt that privilege. "He's our greatest batsman after (Don) Bradman... 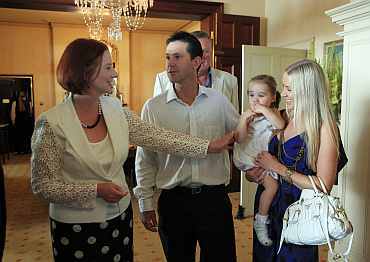 I think all of us would wish him well in whatever he chooses to do for the balance of his life," said Australia Prime Minister Julia Gillard.